A runoff, if necessary, will be held on Dec. 5. Tuesday, Oct. 10, will be the last day for voters to register for the election. Advance in-person absentee voting will begin on Oct. 16. The elections will be held to fill the unexpired term of Rep. Regina Quick for the 117th House District and the unexpired term of Rep. Chuck Williams for the 119th House District. Three candidates have indicated they plan to run for the 117th. Doug McKillip and Houston Gaines have indicated they will run as Republicans. McKillip lives in Oconee County, and Gaines lives in Athens-Clarke County. Deborah Gonzalez has said she will run as a Democrat. Gaines lives in Athens-Clarke County. Marcus Wiedower and Tom Lord have indicated they will run in the 119th House District, both as Republicans. Steven Strickland has indicated he will run either as a Republican or as an independent. Lord, Strickland and Wiedower are from Oconee County. The 119th consists of the remaining 10 precincts in Oconee County and the southeastern part of Clarke County. The 117th House District seat became vacant after Aug. 23 when Gov. Nathan Deal appointed Quick to the Superior Court from the Western Judicial Circuit, which includes Oconee and Clarke counties. The 119th became vacant after Aug. 28 when Gov. Deal appointed Williams as director of the Georgia Forestry Commission. Both Quick and Williams are Republicans, and their terms expire at the end of 2018. No primaries will be held prior to the special election on Nov. 7, and qualified candidates can simply pick a party they wish to have listed after their name. Candidates run against each other, and, if none of the candidates in the 117th or 119th gets more than 50 percent of the vote cast, a runoff election will be held on the Dec. 5 date. 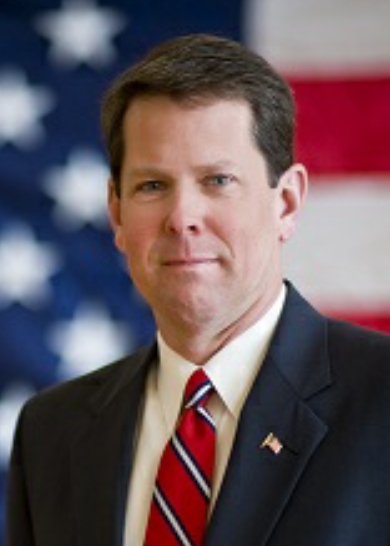 Kemp posted the announcement of the special elections on his web site late today, but the notice is dated Sept. 5. Gov. Deal had to call the election, and no announcement of that call had been posted on the governor’s office web site as of the end of the day today. Kemp also announced special elections to fill the unexpired House of Representatives terms of Stacey Abrams and Stacey Evans, who are running for Governor as Democrats. He also announced specials to fill the unexpired Senate terms of Hunter Hill and Vincent Fort. Hill is running for Governor as a Republican. Fort, a Democrat, is running for Mayor of Atlanta. Note: Gov. Deal issued the writs of election for both the 117th and the 119th on Aug. 28. The news releases from his office did not mention these actions. I thank the person who sent me the links to these orders after I posted. Also, I mistyped the names of both Stacey Abrams and Stacey Evans in the original post. I apologize for the error. Tracy Evans and Tracy Adams are not the names of two democrats running for governor. Their names are Stacey Evans and Stacey Abrams. Thank you very much for this correction. I have no idea how I made this mistake. I have written about both women when they spoke in Oconee County and know their names well. I apologize for the error. ATLANTA, GA – Given the expected impact Hurricane Irma will have on the state of Georgia, the qualifying period for House Districts 42, 89, 117, 119 and Senate Districts 6 and 39 shall be postponed pursuant to Georgia law (O.C.G.A. § 21-2-50.1). The new qualifying period shall be Wednesday, September 13, 2017 from 9:00 a.m. to 5:00 p.m., Thursday, September 14, 2017 from 9:00 a.m. to 5:00 p.m., and Friday, September 15, 2017 from 9:00 a.m. to 1:00 p.m. in the Secretary of State’s Office (2 MLK Jr. Drive SE, Suite 802 West Tower, Atlanta, GA 30334).